The state programme proposal calls for increasing the population in the Far East and the Lake Baikal area from the current 10.9 million to 12.4 million by the time of its completion. Far East Development Minister Viktor Ishayev on Tuesday publicly reviewed the first draft of a programme to pull the regional economy out of a slump. Presented to an assembly of officials, lawmakers and businesspeople at the Moscow office of the Sakha republic, the programme immediately revealed a couple of points of contention that pitted Ishayev against some of the attendees. The plan, which runs through the unbelievably distant year of 2025, seeks to increase the area's population and the average profit margin of doing business there. The profit rate is 12 percent, Ishayev said. “With the cost of credit at 14 to 16 percent, we are in a stalemate,” he said in an opening speech that called for more action to put the region on a fast development track. Developed by economists from the Russian Academy of Sciences' Economic Forecasting Institute and the Center for Strategic Research think tank, the 1.3 trillion rouble ($42 billion) programme is scheduled to go to the Cabinet for consideration by March 21. If approved, it will be one of the dozens of state programs that will come together, as the government decided, to form the federal budget starting next year. The Far East development proposal's first draft, which has been in the works for the past three months, revealed several controversial issues. Ishayev argued with one of the authors, Kirill Yankov, economic policy director at the Center for Strategic Research, that the plan should pay more attention to use of the sea route across the Arctic. Skirting Russia's coast, the shipping lane has been described as a viable alternative to the route connecting Asia and Europe through the Suez Canal. Yankov set off the argument by refusing to pin great expectations on the new route. “We are very cautious about the prospect that the Arctic route will be a competitor,” he said. Yankov also drew disapproving rumblings from Ishayev when he announced that the programme doesn't incorporate projects to build an exorbitantly expensive bridge to Sakhalin Island and connect Yakutsk and Magadan with a railroad. “We consider these projects to be beyond the scope of 2025,” Yankov said. In another disagreement, Ishayev dismissed suggestions by former Sakha President Vyacheslav Shtyrov, now a ranking lawmaker, to consider a proposal to slash the value-added tax for new business in the Far East. Ishayev did say he hoped for rebates on some taxes, but he was adamant that the VAT was off-limits. He said that was a directive from President Vladimir Putin and Prime Minister Dmitry Medvedev. It also aims to raise the region's share of national gross domestic product from the current 8.5 percent to 10.4 percent. 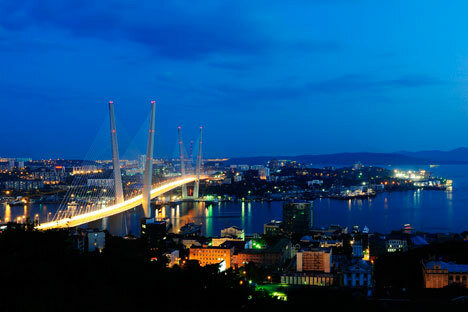 In the latest bid to add momentum to regional development, Russia hosted the Asia-Pacific Economic Cooperation summit in the Pacific port of Vladivostok in September after pouring billions of dollars into sprucing up the city and building various structures in the vast area. Business in the Far East revolves around logging and the extraction of natural resources, which provide relatively low added value. High transportation and electricity costs also press on margins. Izvestia said Tuesday that Ishayev had been named as one of the least efficient Cabinet ministers in a poll of undisclosed high-ranking Kremlin officials.